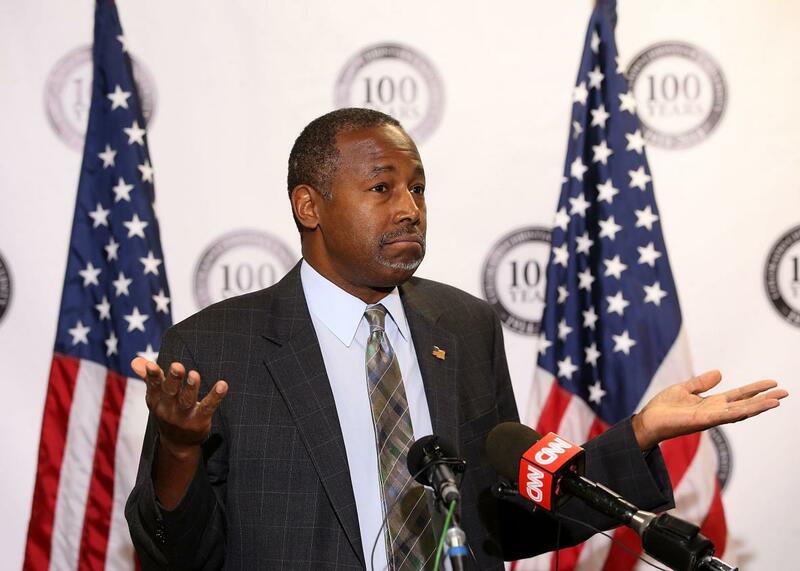 Ben Carson lied about West Point acceptance, per Politico. The good news for Ben Carson is that there’s finally some breaking news to distract the media’s focus away from his peculiar theories about the pyramids of Giza and the damaging allegations that he didn’t try to murder a child. The bad news is that it’s only because the media has dug up a separate, seriously damaging fabrication from Carson’s past: that he was neither accepted nor offered a scholarship to West Point, as he’s claimed. Sure enough, West Point “has no records that indicate Carson even began the application process.” What say ye, Carson campaign manager Barry Bennett? Fabrications of oft-repeated biographical details are bad, in politics. They’re especially bad when they involve the military. And they’re especially especially bad when it looks like this is something of a pattern for the candidate. What will we find out next? If you’re Ben Carson right now, you sure wish the media would go back to talking about the pyramids. He was introduced to folks from West Point by his ROTC Supervisors. They told him they could help him get an appointment based on his grades and performance in ROTC. He considered it but in the end did not seek admission. There are “Service Connected” nominations for stellar High School ROTC appointments. Again he was the top ROTC student in Detroit. I would argue strongly that an Appointment is indeed an amazing full scholarship. Having ran several Congressional Offices I am very familiar with the Nomination process. This is what we have come to expect from Politico. Okay. So basically a well-connected person or two told Carson that if he want to go to West Point he’d probably get in. Politico may have oversold the story as some sort of teary-eyed confession from the Carson campaign—indeed, the Carson campaign argues that it’s hardly “admitting” anything. That doesn’t discount the technical point, though, that Carson has been saying for decades that he was offered entry to the U.S. Military Academy, which is untrue. Again, here is the relevant text from Gifted Hands.